Chris O'Brien talks with interesting people in the running community. The focus is on runners, community, training and races. Sometimes we're inside the race and sometimes we're outside, but always around the Rochester, NY running scene and the community members who make it happen. If you run you, are a runner. If you are a runner, you have a story. These are the stories of our community. Hosted by Chris O'Brien. Our yearly special episode recorded at Medved Running and Walking in sunny Pittsford, NY. This year Mort Nace assembled a panel of 4 outdoor enthusiasts, Laura Rekkerth, Daven Oskvig, Tim Kent and Laura Webber for a night of talking trails. Prem Kumar and Daniel Knopp are joining with Work, a non-profit organization, to run across Haiti. Their goal is to show that Haiti is not a place to be feared or pitied and to raise funds for our work in ending poverty in Menelas through dignified jobs. Mark Valites climbs into the guest chair to talk of everything outdoors. 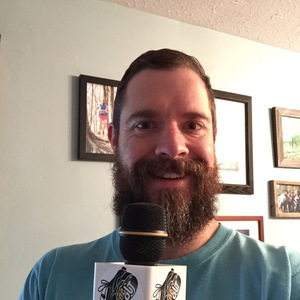 In this wide-ranging conversation we cover trails in and around Buffalo, running 100 milers throughout the country and you can hear my fascination as I interrogate Mark about ice climbing! Erica Mead rushes in to talk about her running. We really focus in on how Erica has 'grown and matured' as she has gotten older. Erica ran a lot of hard fast miles in 2017 and while fun, resulted in her spending the first half of 2018 recovering from a major injury. and finished the year with a 50k in Canada. Now it's 2019 and her injury is behind her. So now what? Mark Streb sprints into the studio to quickly tell us some of his running stories. We chat about going from being a lazy kid to running in two Chase Corporate Challenge World Championships. 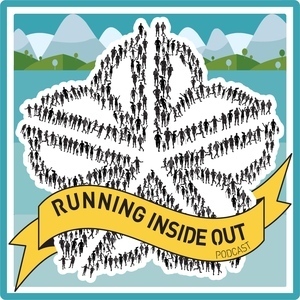 We also talk about Road Kill Racing, Cross Country, and Snowshoe running. Scott Parr joins to talk about what got him into the world of running, pushing the limits of his body and finding fun in the suffering. Scott had a pretty awesome 2018 that included three pretty big ultras in Many on the Genny, Cayuga Trails and Twisted Branch. In addition to 2018 memories, he drops some pretty big plans for the future as well. Jen DiSalvo joins me in the studio to tell us her story of quitting smoking and starting running to be a healthy mom for her family. She went from couch to 5k, from 5k to half marathon and from half marathons to ultra... and this year was 3 ultras in 3 months. Jen is one of only 4 people to complete the inaugural Empire State Triad. Danielle Snyder comes back from the West Coast to run Twisted Branch 100k (and visit her mom!) and stops into RIO HQ to tell us about her adventures and share a few secrets. Josh Stratton wanders in to talk about his solo, unsupported Adirondack 46er Fastest Known Time. Jamie Hobbs is here to talk about the Big Dance. The Grand Daddy of 100s. The Okee-Dokie Hokey Pokey. That’s right, Mr. Hobbs goes to Western States. Mike Welden is back. Like literally. Last we heard from Mike, he had just run a smokin 13:34 at Laurel Highlands Ultra. And then, nothing. Where'd he go, what'd he do? Turns out, those answers are "everywhere" and "a lot", mostly. It's complicated. Listen in as Mike, in typical Welden-esque fashion weaves us the tale of a 2017 gone awry and a 2018 on the cusp. Contained herein are jeers, tears and of course swears. Ye Be Warned. Steven Dailey shares thoughts on how running opened his eyes to a world completely different from that of the Army. And how running helped him during his time serving our country. We talk about some other stuff too, but you should listen to find out what! Laura Rekkerth talks about big training miles and heading out west for her second attempt at 100 miles at Antelope Island Buffalo Runs. We talk a bit about adjusting to a new normal and the benefits of a little bit of "external motivation"